Eritrea derives its name from the Greek word for red, eruthros: thus pontôi t’ eruthrôi referred to the Red Sea/s in classical Greek, also known as Erythrean Sea, Bahri Értra in Biblical Tigrinya and Ge’ez. The geographical boundaries of modern day Eritrea were defined by a series of treaties agreed during the early 1900s between three European colonial powers - Great Britain, Italy, and France - and Ethiopia, after Italy’s claim to Eritrea was formalized by the Berlin Act of 1885. Allow me to revisit our history for it can shade light on the current conspiracy going on against the sovereignty of our country Eritrea. What we are observing in Eritrea is ‘the history of the 1950’s being repeated’. In order to grasp the depth of current development going on in Eritrea initially is to revisit and assess our past history critically. First it is necessary to understand how easily the Eritrean people fall victim to the Allied Power conspiracy. Second, once we grasp the dirty tricks set in motion in 1950s could help us get alert and avoid making similar mistakes. When we scrutinize the history books of 19th century, we learn Eritrea was it is now was created as a consequence of the scramble of Africa. In 1880s Italy had established its first colony by occupying Eritrea. After the end of World War II the Allied power were victorious over the Axis. Once the dust of war starts settling the issue that begged solution was what to do with former Italian colonies (Eritrea, Libya and Somalia)? The discussion between the Allied power - France, Britain, the U.S. and USSR - failed to reach mutual agreement. After failing to reach an agreement, the case of Eritrea was referred to the fourth session of the U.N General Assembly. An inquiry Commission was sent to Eritrea to decide the country’s fate. The Allied Powers were unable to reach an agreement on the future of Eritrea. The main reason for not reaching an agreement was because ‘all Allied Powers perceived the solution for Eritrea from their own interest. Unfortunately the main actor - the Eritrean people - was not taken into consideration. Thus, neither proper support nor venue to express their desire and needs was addressed. Unlike Eritrea, former Italian colonies Libya and Italian Somaliland were “set free” at the end of World War II. But the case of Eritrea was heavily rigged from the outset. Although the majority of Eritreans were pushing for their independence, the wrangling of the fledgling Eritrean parties were not able to grasp the political dynamics. On top of their weaknesses, the strategic interest of Allied Power especially that of the US interest didn’t permit Eritreans to stand firm against the conspiracy woven against their independence. After Italy was defeated in 1941, the British Military Administration were allowed to administer Eritrea on behalf of the Allied Powers (U.S.A, Britain, France and Soviet Union) and they did all they could to prolong their colonial occupation. The British proposed their deceitful actions the partition of Eritrea into its two predominant religious communities – Christians and Muslims. The British suggested attaching the two sections of Eritrea highland to the Ethiopia and lowland Eritrea to Sudan. However, the Eritrean people met the challenge this with such vigorous opposition that the British were forced to abandon the idea of partition. From the point of view of justice, the right of self-determination of the Eritrean people must receive consideration. Nevertheless the strategic interests of the US in the Red Sea basin, and considerations of security and world peace make it necessary that this country be linked with our ally, Ethiopia. Once Ethiopia gained this foothold, it gradually and systematically eroded Eritrean political rights, abrogated the federation and finally annexed Eritrea in 1962. When Emperor Haileselassie abolished the Eritrean Parliament, lowered its flag and banned teaching Tigrinya in schools created a rallying point for all Eritreans. Thus the only option left for Eritreans was to get united and fight for their rights. The people of Eritrea were left with no alternative, but to conduct an armed struggle. The outcome resulted in winning their independence and establishing national sovereignty in 1991 against all the odds and they had paid dearly. But after three decades of armed struggle for independence, unfortunately Eritrea enjoyed only seven years of peace before war with neighboring Ethiopia resumed in May 1998. After two years of bitter war the two countries signed a binding peace agreement in 2000 at Algiers. But the Ethiopian Government comes up with another pretext to hinder the implementation. The normalization process should start first before the demarcation of border. What continued for 18 years was no war no peace situation till the rapprochement of the two countries by mid-2018. The Eritrean people were made to believe by the head of State Eritrea, President Isaias emphasised that ‘there would be no peace until the boarder is properly demarcated and the land that is occupied is returned to Eritrea’. He stressed, normalization process between the two countries is out of question. After the rapprochement with Ethiopia in mid-2018, weirdly the tone of President Isaias has changed. President Isaias openly is heard arguing in mass media, boarder demarcation is irrelevant and we need to see the bigger picture. This astonishing shift of stand bemused the whole country and left all Eritreans bewildered. What is the bigger picture President Isaias discoursing is not clear that is why he is hiding it from the Eritrean people. The bigger picture for the Eritrean people is ‘respect of their country’s sovereignty and territorial integrity and is non negotiable. The Eritrean people struggled for 30 years and sacrificed its youngsters to realize the sovereignty of their country. When the border war started in May 1998, they stood up for the second time against the Ethiopian encroachment towards their sovereignty. President Isaias argument is absurd and the current development is tantamount to treason against our independence. President Isaias and his small traitors are busy conspiring with Ethiopian leaders to bluntly surrender the Eritrean sovereignty and territorial integrity to Ethiopia. Now it is time for all undecided Eritreans who were having doubts and thought President Isaias always prioritize the interest of Eritrea. The current conspiracy of President Eritrea now has left no stone unturned and he has shown us his true conspirator identity. The motive of President Isaias is to erode our sovereignty systematical and set the tone that Eritrea is not viable state without Ethiopia. Do not get me wrong; I am thrilled that Eritrea and Ethiopia finally are making peace and work together to reconcile their differences for their common good. But it is inappropriate and an acceptable to bring peace, stability and development at the expense our sovereignty. After rapprochement between Eritrea and Ethiopia, the logical thing that should have followed is first to demarcate the boarders of the two countries as stipulated in the 2002 agreement. Once the borders are properly demarcated, normalization could enhance cooperation and could benefit the two countries. We cannot build the sovereignty of our country in the air or by sheer promises of two head of state. All what President Isaias is conspiring is not open and is kept secret to Eritrean people and its parliament. Any agreement reached in this context cannot hold water. The Eritrean people are not ready to travel the some road that led us to war. I believe by now both countries have learned enough from the past to inform them how to deal with their predicaments. Personal agreements between Prime Minister Meles and President Isaias was not based on institutional work and done transparently. The agreement done has not involved respective stakeholders from both countries and made both countries pay heavily. When strong winds of confusion start blowing between the two countries the premises build in the air were not able to stand the challenge and crumbled. When we zoom in on the issue, the main reason for failure was ‘all agreements were not transparent and were based only on the whims of the two leaders’. Initially lessons should be gathered from our experiences and this needs to be factored in when revisiting the two countries current normalization process. In 2009, Washington crafted a United Nations Security Council resolution to punish Asmara’s interagency. On the basis of some unverifiable claims, and other utter fabrications of the Somalia Eritrea Monitoring Group, sanction was imposed on Eritrea. In mid-December 2013, former Assistant Secretary of State for African Affairs Herman Cohen argued that “bringing Eritrea in from the cold” was a timely endeavor. Herman Cohen is using the good offices of the US Department of State to lobby on behalf of Eritrean President Isaias Afewerki. It can be argued Herman Cohen and his colleagues supported by Prime Minister Abiy were instrumental in lifting the sanction imposed on Eritrea. The United States bystander is not an innocent observer in its estrangement with Eritrea. Nor has it by any measure been a neutral broker in the broken relations between its former allies, Eritrea and Ethiopia. The Eritrean relations and US deteriorated first, because Washington betrayed its role as a guarantor of the June 2000 Algiers Agreement. Tolerated – if not encouraged – Addis Ababa to renege on the binding ruling of the international court that in 2002 awarded to Eritrea the flash point of the border dispute. France has had a military base in Red Sea since 1977 based in Djibouti. The United States established Djibouti base in 2002, after the terrorist attacks of 11 September 2001. Other powers such as Italy, Japan and most recently China have also gained their foothold in Djibouti. All were lulled by the strategic position to the southern entrance to the Red Sea. All have vested interest for relative political stability that is neighbours to the Red Sea. The last great power to set its sights on the Horn of Africa is Russia, which announced in August last year that it was going to build a “logistics” base on the Red Sea in Eritrea. The US is disturbed with the growing influence of China in the Red Sea, the Horn of Africa, and on the African continent in general. The United States is determined to counter the ambitions of Beijing in East Africa. In its National Security Strategy for 2017, the Trump administration described China as a “revisionist power” and a “strategic competitor” of the US. China is seeking to undermine the US power, influence, security and prosperity. Like Russia, China is now seen as challenging the US power, influence and interests. Lately, the US government has shown great interest in East Africa fearing the growing encroachment of China and Russia. The race for power and influence between the US and China in the East Africa in Red Sea region has intensified. Recent years, regional powers have rushed to the Southern Red sea, various global powers have also established naval bases near the Bab Al-Mandeb Strait that controls the passage between the Red Sea and the Gulf of Aden in the Indian Ocean. There is strategic shift from the US towards the Great Horn. Ethiopia has been a strategic allay of the US for decades. The US policy makers believe that ‘putting its pressure behind Ethiopia can help attain peace and stability in East Africa’. Since the Second World War, the US policy towards stability and development is to work through South Africa, Nigeria, Ethiopia and Egypt. The remaining countries will be used or abused as long as it serves the US’s interest. Eritrea was not spared from this tribulation in 1950s. The current development indicates conspiracy towards denying the territorial integrity of Eritrea sadly is growing by day. The US policy towards the East Africa is to sacrifice Eritrea’s sovereignty if it serves its strategic goal. After the formation of Federal Government of Ethiopia in early 90s based on ethnic federal arrangement is brewing conflict unabated and in 2018 is a formidable crisis. Lately, before the rapprochement of Eritrea and Ethiopia it was speculated that there is high possibility of Ethiopia getting disintegrated into three or four different states. This development is worrisome and is not good indication of stability in the Great Horn. The Ethiopian population had reached more than 105 million and if for any reason falters, it will have detrimental ripple effect on the whole region. The US through its diplomatic mission supported by European Union is working very hard to avert the catastrophe. The US fielded Ambassador Donald Y. Yamamoto, a career diplomat of the Senior Foreign Service currently Principal Deputy Assistant Secretary in the Bureau of African Affairs. He was Acting Assistant Secretary in the Bureau of African Affairs from September 2017 to January 2018. Ambassador Yamamoto is one of the Department’s foremost Africa specialists. During 38 years in the Foreign Service, he has served multiple tours in Africa, including as U.S. Ambassador to Ethiopia (2006-2009) and to Djibouti (2000-2003). Ambassador Yamamoto’s has extensive policy background, deep regional knowledge, and seasoned leadership and management skills, which made him an excellent candidate for U.S. Ambassador to failed State - Somalia. Ambassador Donald Y. Yamamoto work in East Africa over the course of his 38 years in the Foreign Service, includes, Ambassador to the Federal Democratic Republic of Ethiopia, Ambassador to the Republic of Djibouti, Charge d'Affaires at U.S. Mission Somalia, and most recently as Acting Assistant Secretary for African Affairs. In April Donald Yamamoto, America’s most senior diplomat in Africa, visited Asmara, Eritrea’s capital—the first such envoy in over a decade—before travelling on to Addis Ababa, the Ethiopian capital. It was a sign of America’s interest in rekindling its own ties with Eritrea. Mr Yamamoto is said to have hosted meetings between senior officials in Washington and to have set up a diplomatic back channel. Meanwhile Prime Minister Abiy enlisted Eritrea’s patrons in the Gulf, Saudi Arabia and the United Arab Emirates (UAE), as brokers. On 10 June 2018, Ethiopia announced that it has unconditionally accepted to implement the binding international ruling of court 2002. Shortly after this announcement, Eritrean delegation was dispatched to Ethiopia, Addis Abeba to do preparatory work. Rapprochement between two head of state started with a fast speed but the Eritrean people and its parliamentary were kept in dark. The metaphor that can explain the ordeal is like ‘not inviting the bride and bridegrooms in their own marriage’. All information related to Eritrea is only coming from Ethiopia or other international social media. Every agreement is done clandestinely and what we are learning from the media or prominent Ethiopians is negating the sovereignty of Eritrea and revising history of the arm struggle negatively. Now they are openly saying that they will have a sea outlet and Ethiopia will not be a land locked country. What is strange and irony is the Eritrean government is not responding. But why silence at this critical junction and to whose interest definitely not to the interest of Eritrea and its people. President Isaias is conspiring with the US and the Ethiopian government to give land access to the Red Sea via Assab. The information is coming from reliable source and source is withheld because at this stage they prefer to remain unanimous. When we connect all the contours said by Ethiopian leaders recently such as ‘Ethiopia will have access to the sea; Ethiopia will have Marine force; President Isaias stating Ethiopia and Eritrea are different countries is day dreaming etc. The words are written in block letters and it is up to us to avert the conspiracy looming. Leopard cannot hide its spots indefinitely and President Isaias can’t hide his true identity. He had managed to fool Eritrean people and played on our innocence for long time. Now unequivocally President Isaias has shown his true identity as sell out and traitor who is conspiring against Eritrean sovereignty. Is this new phenomena developed or it was always there is debatable. I am not ready to venture for discussion because it will distract us from our main goal at this stage. The focus is how to throw President Isaias and his henchmen to the dustbin of history were they rightly belong. We must not kill our time to find out why he had revealed his true identity now because it will tax our time? We have urgent task to deal with together irrespective of opposition or supporters. With out territorial integrity of our country and Eritrean sovereignty all at least is a futile exercise. The priority now is how to save our country and protect our sovereignty. President Isaias doesn’t believe in prosperous and civilized Eritrea and has made it clear as daylight. All testimonies, which are in the public domain attests that. I believe now nothing is mystery for the once who have Eritrean territorial integrity at heart. Thanks to President Isaias, the sky is clear because he had cleared our slightest doubt and we can see the horizon and bright future of Eritrea. It is up to us to put our insignificant differences aside and work as one. We must not underestimate what President Isaias and his cronies can do. But if we stand as people we will prevail. As an individual I feel this is the beginning of the end. It will not help us to dwell in the past but visiting the past can help us shade light for what future holds. Let us leave to the researchers, scholars to enlighten us based on facts and figures why this happen. It is good to analyse why the Eritrean dream was differed and lost its way. Prominent Eritrean scholars had produced quality work that can help future researchers to expand it. When the sovereignty of Eritrea is at stake and is put for sale for the higher bidder we do not have time for complacency. Let us start with the basics that are of common interest to everyone. Our basic effort will unite us by cementing our differences and help to avert the disaster looming in our beloved country Eritrea. Yes, the issues that we are facing as a country will not go away by themselves. But once we are united and clear our house, we will be able to deal constructively our difference. This is the time to stand and pull together for the good of Eritrea. At least we owe this to our country and after all our Martyrs sacrifice was not in vain. In the last six month, President Isaias had shown us his true identity. Now with no doubt he is clearly working for Ethiopia. It is not too late to adjust our contour and compass to save our beloved country. Opposition groups, civic organization, supporters of the regime if analysed all preach for the better future of Eritrea. 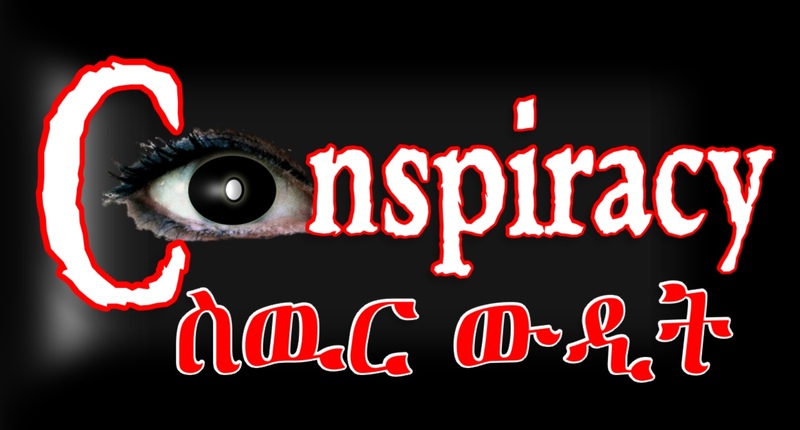 This is the timely endeavor to expose the conspiracy done by President Isaias so Eritreans can put aside their difference to see and attend the crucial challenge. President Isaias and his cronies succeeded to create rift among Eritreans. In a way it can be said that they were able to divide us. We were following different methods and at best we were scattered thus we were not able to be up to the challenge. Now what was dividing us was only a mist and is cleared by the recent activities of President Isaias. Who is the real enemy of the people is clear and what is remaining is how to deal with it to make history. 6) Put in place transparent institutions that can lead the transition period.